I had just left an airplane at about 6,000 feet (1,800+ meters), and I was spinning on my back being slung around like a doll by a malfunctioning parachute rapidly diving toward the ground. There was no way I could possibly survive hitting the ground at that speed. I had to make a life-saving decision. I had to cut away my main parachute. Despite the fact that my father had many thousands of skydives and 20 years in the sport, he’d only performed that maneuver twice in his life. I reached for my cutaway handle (not actually a cutting device, but a quick-release system similar to snap shackles), grabbed hold, and gave a big punch away from my body. 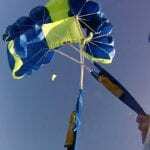 As I fell back into free-fall I reached for my reserve parachute handle and deployed it. You see, in a way, I had been training for that moment for most of my life. 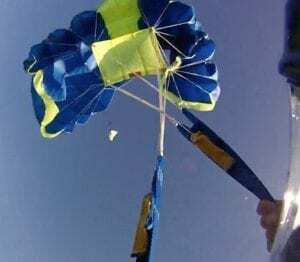 I grew up at skydiving centers around New England and would sit in on my father’s skydiving courses as he taught students how to handle that very situation. When I started skydiving, I received emergency procedure training on every student jump. Once licensed, I continued the habit of practicing my emergency procedures before every jump, and on the ride in the airplane to altitude. I arrived at that moment fully prepared to handle it with ease. Of course, there is that matter of the horse. Here’s a creature that weighs anywhere from 300 hundred to over a thousand pounds, who happens to have an overwhelming instinct to run away from anything that’s perceived as threatening. You’ve decided to tie him to a wheeled, inanimate object, which you are going to sit on. Usually, everything goes along just fine. 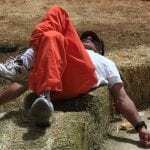 You have a nice drive with your horse, you get some good things done, and return to the barn. 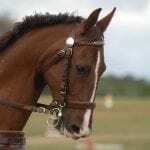 Of course, horses being horses, there’s a certain amount of inherent risk involved. You could do everything right, just before everything goes wrong. If you don’t get a handle on the horse in the first 3 seconds of a spook, chances are pretty good that you’ll have a full-blown runaway horse and carriage on your hands. Emergency preparedness can make the difference between a tense moment, and a total wreck. It’s critical to know what to do, in what order to do it, and equally importantly, what not to do. To be prepared for an emergency, you have to have a plan in mind before the emergency happens. But planning isn’t enough. You have to practice. The reason I was able easily, and calmly handle the skydiving malfunction I had was that the emergency procedure was trained into my muscle memory. We can do this as carriage drivers as well. 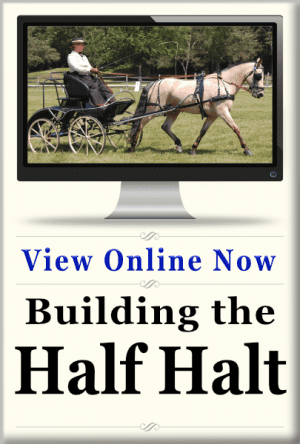 The emergency procedures for carriage driving mostly center on your body position and point of focus. 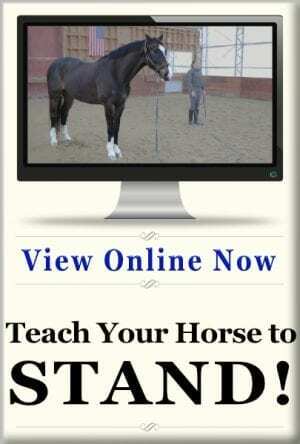 It means getting your feet planted, hands together, and eyes well ahead of your horse. 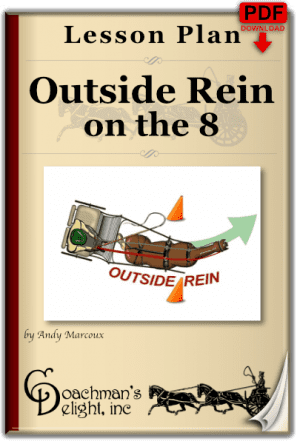 Once you’re well situated, you’ll need to have the ability to quickly collect up the reins. Then it’s a matter of using those reins in the most effective line of communication from the carriage to the horse. That means drawing your reins toward your chest as you lean back in the moments that you’re pulling, and reaching forward in the moments that you are following. Practicing those movements when all is right and well with the world will give you a chance to train them into your muscle memory. That means that when the chips are down, you don’t have to think or remember what to do. Your body can simply act upon the training you’ve provided. 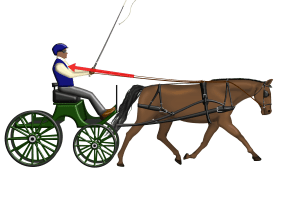 Of course, there’s a lot more to handling a runaway horse and carriage than that, but those first three seconds are the most critical in determining the outcome. 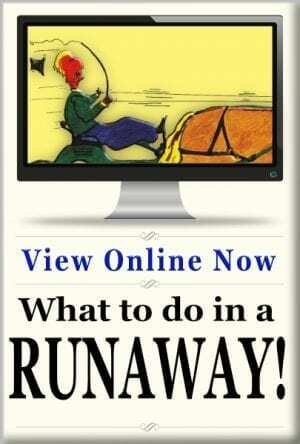 If you want to learn more about handling a runaway horse and carriage, check out the class “What to do in a Runaway.” It includes downloadable articles like the “Runaway Survival Guide”, and a “Pre-Drive Gear Check”. Of course, the best way to handle a runaway is to not have one in the first place. You can get ahead of the ball by reading the post on Spooky Horses, or look into the class on Driving Past the Spook. The main thing is, don’t wait until your horse decides to take you on the express route to Shanghai to figure out how to handle it. 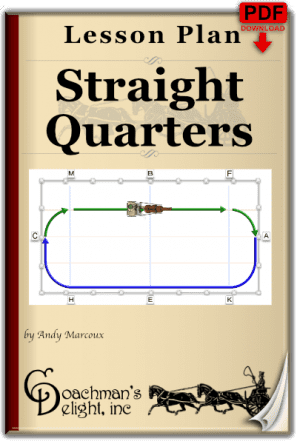 Take the time to learn how to avoid dangerous situations now, and how to handle them if they do arrive. 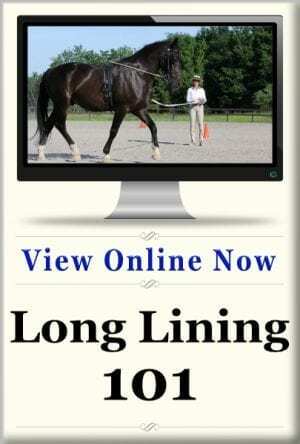 It’ll go a long way to keep the fun in your horse’s next malfunction. Our lives parallel but decades apart. 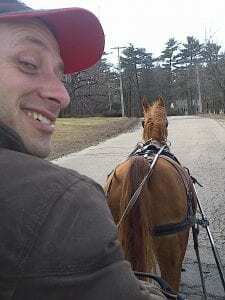 I decided to join my wife in a “safer” sport of carriage driving instead of skydiving. That first day I assisted in counter acting the potentially disastrous events. One person horse was rearing on a steep hill. Same horse & driver had a long distance runaway. Another horse that was being exceptionally bad for its inexperienced driver. She had disconnected the horse from carriage & as we ponied it back it made several attempts to jump in our cart. No one in the club had the slightest idea what to do in an emergency of any kind, let alone practiced for such an event. A requirement of driving should be a course in safety & emergency procedures. For example no one knew how to safely step out of a cart during an emergency, let alone a runaway procedure. Your doing great work here Andy, press on! Thanks for the note John. I know all too well the type of scenes you describe. Too many people blissfully drive away without any expectation of anything going wrong. It is a safe sport, but it’s safer when people know how to handle tricky situations.